You might have friends that you do certain things with, while with others you engage in totally different activities. For example, you might have a game night with one group of friends, and go camping with a different group. We would call these two different "friend groups," because generally one group doesn't meet or have contact with the other. The only thing they would have in common is you. For this term, one friend can make up a "group." An example of this would be when you have a friend that you go to book group with and others that you just hang out with on weekends. Neither of these "friend groups" get together themselves. Instead, you see them separately. Very often introverts will have different friend groups. It's not their intention to keep friends separate from each other, rather, it's more logical to the way they think of friendships. Seeing certain friend groups (or individuals) here and there helps keep the introvert's social life active, and yet also prevents the "drama" of getting everyone together. Often, a larger group means different personality types, which in turn could mean arguments, unease, or even just a multitude of conversations going at once. This is something that introverts usually like to avoid. 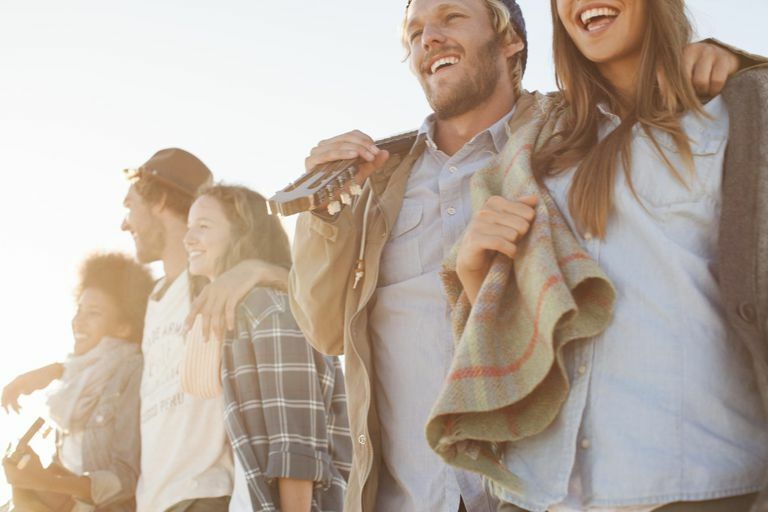 Friend groups can be a positive thing, especially for people focused on a certain activity. In this case, the enjoyment of the activity can lead to a deeper friendship with the individuals involved. These types of friendships are often scheduled around activities, so you're sure to have something on the schedule at all times. Having your various friends meet each other can be beneficial to expanding your relationships, and since friend groups sometimes prevent this, it can be viewed as a negative. Generally, a friend group is resistant to change, either in the types of activities done or in the people involved. Should You Pursue Different Friend Groups? Should you get involved with different friend groups? They are yet another form of friendship, and as long as you continue to seek out other types of friends, they can be a positive thing in your life. On the other hand, they can also become a dominant factor, with members becoming upset with you for forming new friendships. However, as long as you maintain your independence, you can reap the benefits of this type of friendship. Just be sure to continue nurturing your other relationships as well.